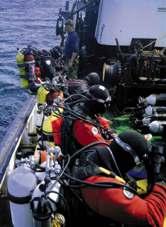 Diving Frontiers Wreck Diver Specialty Course is one of the best valued courses in Perth. Whether it’s your first or your hundredth dive, few moments in diving compare with descending on a wreck, it’s sense of mystery and adventure. The Wreck Diving Course is divided into knowledge development and open water training dives. 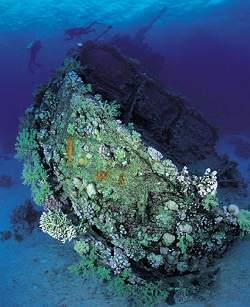 Knowledge development topics include : Wreck diving law, hazards to avoid, how to research and map wrecks and basic wreck penetration whilst using lines and reels to aid exploration. Open water and practical sessions include : equipment considerations, correct use of penetration lines, wreck assessment, anti silting techniques and blackout simulation exercises. Recent diving experience other than Open Water and Advanced Training Dives. It is usually recommended divers have completed at least 10 dives other than training dives. Theory conducted at the Dive Shop. First Two Ocean dives normally done from shore and dependent on Ocean conditions. Ocean Dives dependent on weather conditions. Course can also be done with dive trips see options above. (Refund of course deposits given at the discretion of Diving Frontiers).